Three years of broken sleep can really take it's toll. There's been phases where it's been good and the boy child has slept through, gone to bed with no fuss, stayed there all night - these things didn't happen all at the same time but we always thought if we had one of them we were doing ok.
We had made peace with the fact he wasn't the best sleeper and to be honest we just got on with things and did whatever worked for us all to get a decent night's sleep. We've co-slept, stayed in the room for up to an hour getting him off to sleep, bought a Gro-Clock, let him go to bed in our bed and then lift him over, later bedtime, earlier bedtime, I've lost count of the amount of bottles of lavender we've gone through...but again we just did what we had to. It's not always been rough, as I said there's been phases but the majority of his short life so far has been spent fighting sleep. A couple of weeks ago we reached breaking point. We assumed as he got older that it would all settle down and he would figure out how great sleep is but nope, not our boy. Honestly it felt like we were back to the newborn days, he was waking up numerous times during the night, walking in and out to our room, climbing on us, this was after we would have had a meltdown at bed time. The final straw came when he decided to have a tantrum at 3am because we told he had to go to sleep, it was late. 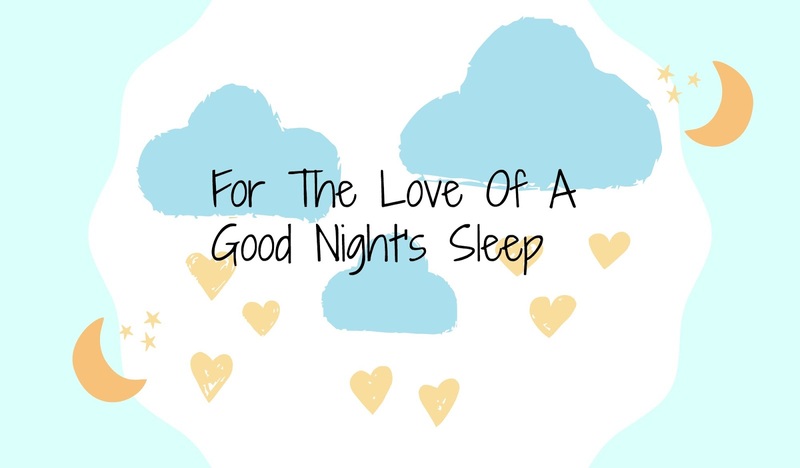 We both work full time, the OH studies full time, L goes to preschool 4 days a week and his days start early, it's so important we all get a decent nights sleep if we are to get through the busy week. We were shattered, all 3 of us. Cue my guardian angel, Niamh O'Reilly of The Nursery. I will credit this lady with saving our sanity. 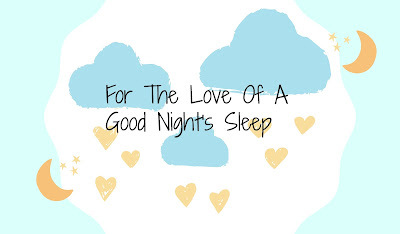 Niamh is a sleep coach and has over 15 years of experience in the childcare field, she is one of the many lovely people I've got to know through being a member of Irish Parenting Bloggers. 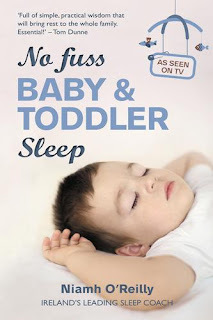 She has a best selling book called No Fuss Baby & Toddler Sleep, she knows her stuff, sleep is her thing. I sent Niamh a brief outline of our daily routine, from morning to night, how we went about bed time, what the routine was, who was at home in the evenings, did he nap, what his language and comprehension skills were like etc. Niamh came back to me straight away with some comforting and reassuring words that I was doing good and to breathe and with a plan in place for the boy. She explained the way we did things in a way I would never have thought of and how Luke might interpret them. She tweaked our routine and suggested two things I never would have done because I thought it would have only made things worse - letting him back downstairs after bath time to read his book and then compromising with another book upstairs before putting him to bed awake without me having to stay in the room with him until he fell asleep. I'll admit I was super nervous doing this the first night, I was trying my best to stay positive but I was so anxious about Luke kicking off once he had to go to bed. Honestly though I think he got more of a shock that for a change I agreed to his request to go back downstairs. She recommended getting a "bag of tricks", an incentive to help go to bed without creating a fuss, something he could see during the day and want but he could only get if he went to bed with no fighting and stayed there until morning. The Gro-Clock came in handy here again, it's set to 7am and he had to stay there until then. The first night was the same putting him to bed, tantrum but the OH was on hand to help too (Luke never gives his Dad a hard time at bed time! )but he did stay there all night. I was emailing Niamh that night asking further advice and she responded straight away (on Saturday night like!) and reassured me. Sure enough he came looking for his treat from the bag the next morning but we said no seeing as he hadn't gone to bed without a fuss. This was a tough one because he kept apologising all day to me and asking can he have something from the bag but we stood firm. The next night was like a miracle, no crying, no shouting, we had a lovely cuddle on the couch while I read his book and he drank his milk and then upstairs without a fuss and into bed, we had a quick cuddle and off he went. I actually couldn't believe it. There he stayed until 7am the next day, you can sometimes hear him over the monitor shuffling around waiting for the sun to show up on his clock and he runs in straight away. I can't even begin to explain the difference in him after a proper night's sleep. He was happy, calm, much more able for the day and an absolute pleasure to be around. Niamh checked in regularly with me, to see how it was going and in turn I sent her back an essay in reply but it I felt so much more able to stick to the new routine knowing Niamh was only an email away should it all go belly up. A slightly earlier bedtime was suggested while we got used to a new routine and it seems to suit Luke much better, he's in bed by 7.15pm most nights and up again at 7am. We had a slight blip last night but nothing we couldn't handle and Luke soon realised that I was not giving in and we were going to continue our bed time as normal. Niamh's advice has given me the confidence to to remain consistent, as hard as it can be in the beginning but it is so worth it, for all of us. I genuinely feel like I've got my little boy back. Fantastic Louise!! Three years here to and Niamh saved us with a routine for Abbie. We haven't looked back. It gets to the point where we can't see the wood for the trees I think and we need someone on the outside to look in and say, 'right, try this or this'.